Belisle 280 8" x 8" bodygrip traps are built in Canada to be super strong and super tough. This is a zero-clearance trap as seen by the unique bends in the jaw frames, which ensures an extremely fast and humane death for the target animal. 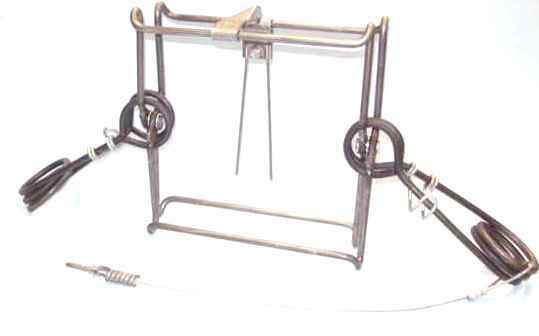 This trap has improved safety hooks on each spring and an improved dog & trigger mechanism. This lethal trap can be used on beaver, otter, wolverine, etc.